With some of the world’s best nature reserves, southern Kenya is a perfect destination for nature or conservation enthusiasts. Stretching from Mombasa, a coastal city on the Indian Ocean, to Nairobi, Kenya’s capital, you’ll also find plenty of culture in addition to peace and quiet on the region’s secluded islands. Despite its status as a major city, Nairobi is home to a huge range of natural beauty. Nairobi National Park, for example, houses the Big Five of African wildlife and is only seven kilometers from the city center. David Sheldrick Wildlife Trust, meanwhile, cares for orphaned elephants, before releasing them back into the wild. 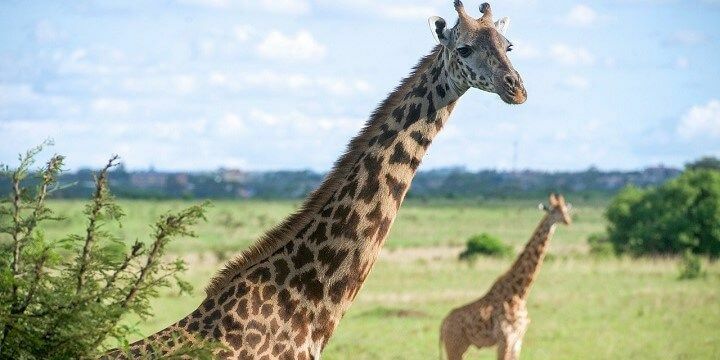 Giraffes live in the Nairobi National Park. If you’re after a bit more of a metropolitan feel, head up the city’s second-highest building, Kenya International Convention Center, for incredible panoramic views. Alternatively, visit the Nairobi National Museum for beautiful prehistoric artefacts. If you’re looking for souvenirs, check out the City Market or Westland Curio Market for traditional fabrics and wood carvings. Southern Kenya hosts a huge range of unbeatable wildlife sanctuaries and reserves. 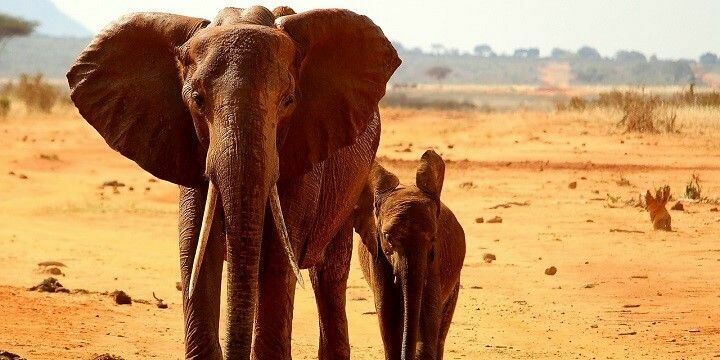 Combined, Tsavo West and Tsavo East National Parks are the largest reserve in Kenya, stretching over 20,800 square kilometers. During your visit you’ll see tons of elephants (both babies and adults) and rhinos, before spending the night in one of the park’s many camps or lodges. The Tsavo West and Tsavo East National Parks combined are the largest reserve in Kenya. At 2,000 meters above sea level, Masai Mara is also well-worth a visit. 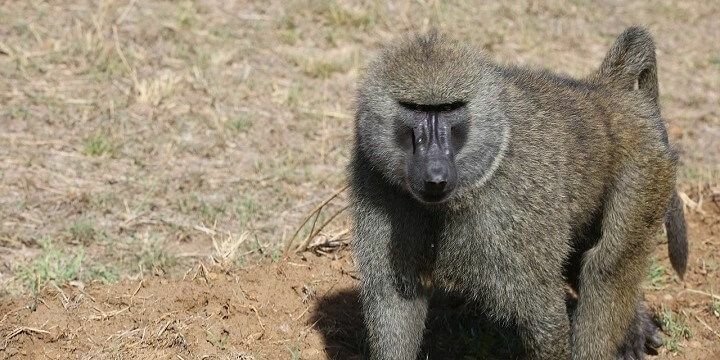 This park is an extension of the Serengeti National Park and welcomes half a million of Tanzania’s migrating wildebeest between August and September! 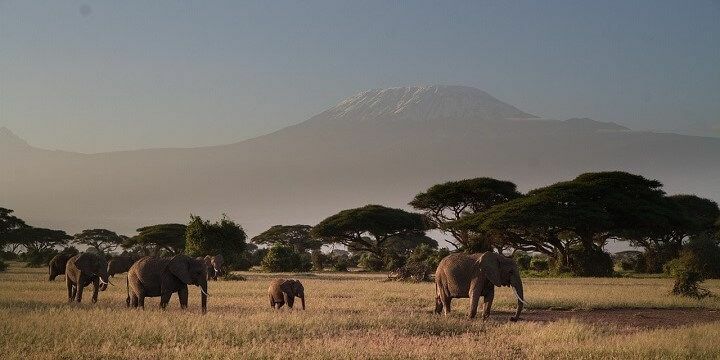 Amboseli National Park offers unbeatable views of Kilimanjaro. Amboseli National Park, meanwhile, offers unbeatable views of Kilimanjaro, as well as the opportunity to spot predators like hyenas and jackals. With one shore in Kenya and the other in Tanzania, visiting Lake Chala is an experience like no other. The 100-meter-high crater rim makes for a fun and challenging walk, during which you could spot monitor lizards, baboons, and monkeys around the exceptionally deep blue water. Spot the baboons around Lake Chala. To see some of Kenya’s most scenic rivers, you’ll need to head to Samburu-Buffalo Springs National Reserve and Meru National Park. 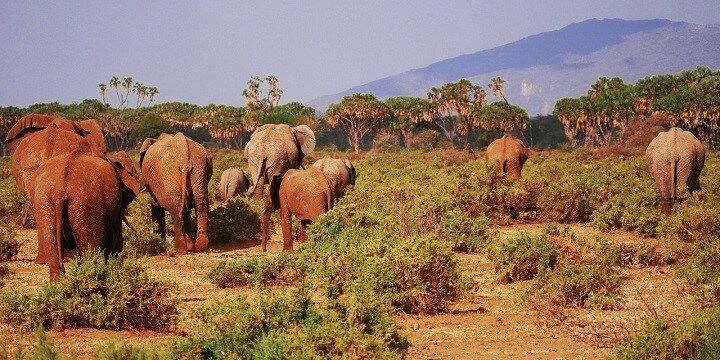 The Samburu-Buffalo Springs National Reserve is home to elephants. Their various streams and rivers serve as popular watering holes for a range of animals, including elephants, rhinos, and leopards. 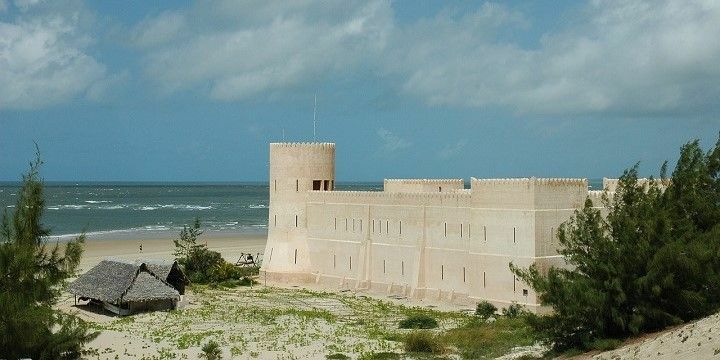 Kenya’s second-largest city is home to plenty of cultural and historical sites, including the UNESCO-listed Fort Jesus, which was built by Portuguese forces in the 16th century. Stroll around the Old Town to see Asian, Arab, and European influences on the intricate architecture, and to try tasty Swahili coffee and treats in one of the many cafés. Nature enthusiasts should head to Shimba Hills National Reserve to see endangered plants, birds, and impressive waterfalls. Hang out at the beach in Mombasa. Beach bums, meanwhile, can simply relax on sandy stretches like Diani, Nyali and Bamburi, all of which have fantastic snorkeling, kayaking, and swimming opportunities. 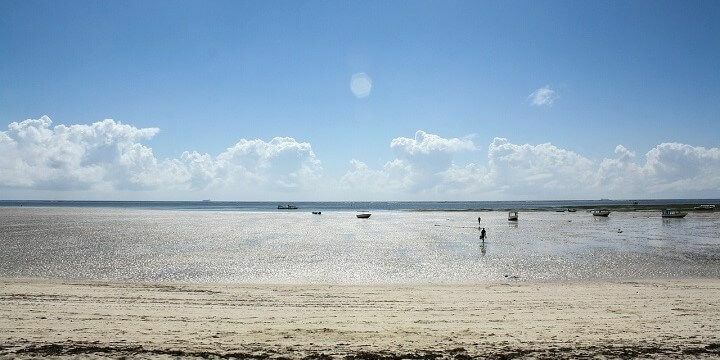 Watamu is a small village, with plenty of palm trees and three beautiful bays. Most travelers head here to enjoy the gorgeous coral gardens and colorful fish in the Watamu Marine National Park. This extends into the more bustling town of Malindi, where there are plenty of bars and hotels. 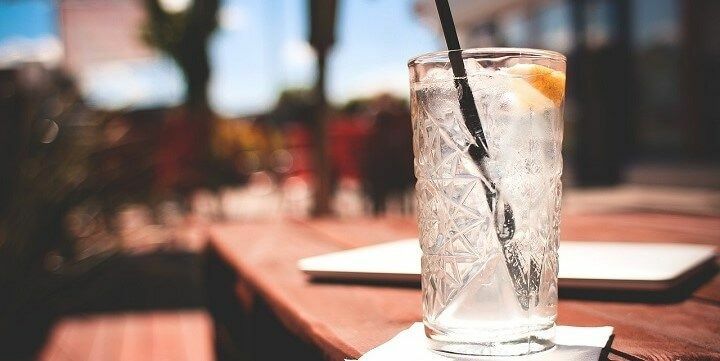 You'll find plenty of bars in Malindi. Malindi’s Swahili Quarter has lots of quaint streets and a busy market, while its beaches are popular among watersports enthusiasts. The peaceful island of Lamu features quiet beaches, a characteristic old town with lots of Islamic influence, and fields full of coconut, mango, and citrus trees. Lamu Island features peaceful beaches and a characteristic old town. The nearby Manda island is just as quiet; in fact, it has only recently been inhabited by a few luxury hotels! Although you can walk around the small island of Wasini in just a few hours, it’s worth sticking around to enjoy the old village, with ancient tomb ruins and scenic beachfront. Stroll around the coral gardens to see large crabs, birds, butterflies, and range of sea plants. Wasini is also part of the larger Kisite-Mpunguti Marine National Park, which is home to angel fish, eels, octopuses, and more! Great destination for outdoor enthusiasts and animal lovers.